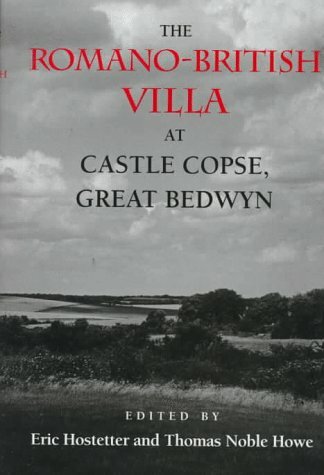 This volume presents the results of a systematic study of the ruins of the large Roman courtyard villa at Castle Copse, located near the village of Great Bedwyn, in southwest England. These efforts have shed light not only on the history of the villa itself, but also on the shifting focus of power over the course of a millennium at the sites associated with Castle Copse in the immediate region -- the Iron Age hillfort of Chisbury, a post-Roman settlement, and a Saxon village destined to become an urban center. In addition to a complete survey of the site, its topography, geology, hydrology, and stratigraphy, this book includes studies of the architecture, mosaics, wall painting, and numerous artifacts and animal remains found at the site. There are also overviews of the history and geography of the region around the site, twelve technical appendixes, and hundreds of detailed illustrations. A great book, but a little to heavy reading for me, Would suit a budding archeologist, which is exactly what i did with it once i read it. I passed it over to a friend who is studying archeology at uni.He was over the moon with it.